Content marketing is failing for a lot of brands. We know that thanks to what the nation’s content budget holders told us in our recent State of Content Marketing Survey, the results of which you can find in the link. 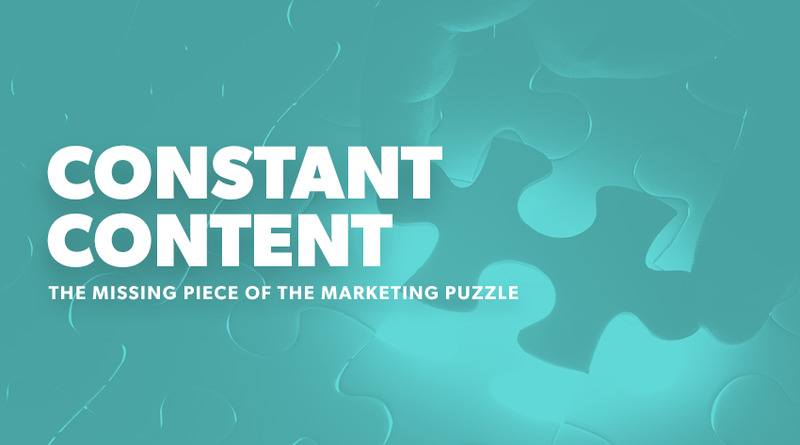 Within it you’ll find tales of confusion, frustration and concern that content is not delivering on its key promise; that it will drive traffic and audience in big numbers. It’s a concerning picture given the increasing amount being spent on the discipline and it’s for this very reason that we have been working on what we see as the problem and solution behind those delivery issues. 'Constant Content - The Silver Bullet for Failing Content Strategy' - designed to explain those failings and offer a solution for building real, long term, value from content activity. The free download features a step-by step, practical guide to making the changes you need to ensure your content strategy is a success and has been designed for everyone with responsibility for content in all of its forms. So, whether you’re a CMO looking for inspiration and strategic guidance or a super-busy exec looking for ways to make a name for yourself this is a must read.